One of the most fascinating raptors is back at Thanda. 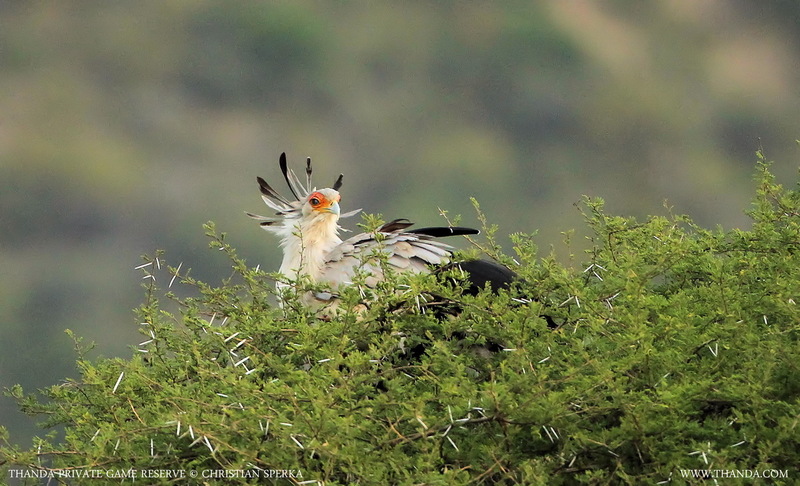 A pair of Secretary Birds spends part of the year on Thanda’s savanna area to the delight of guests, guides and trackers. These large eagles are specialized in hunting snakes and other reptiles.